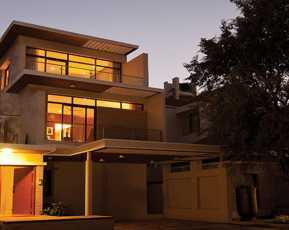 Godrej Reserve: Build your dream mansion in Bangalore! Godrej Properties has announced enormous residential plots at Godrej Reserve in Devanahalli, Bangalore. In recent years statistics reveal that Bangalore has become one of the most prime destinations for youngsters due to its multifarious job prospect. So, constructing an own mansion amidst the lush green surrounding is a dream of many and Godrej Properties are offering that platform to construct the dream foundation. Away from the hustle bustle of the city shore, honking of vehicles, and excessive work pressure in office, these residential plots of Godrej Reserve Devanahalli offer a wave of relaxation to calm the mind. 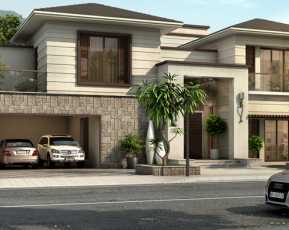 Stretched over a large patch of green landscape, residents can buy plots which are available in various configurations. Besides the residential plats, Godrej Reserve also offers 12 acres of Green Park for children to play around or organizing any picnic or family outing. These residential plots can also be used as a guest house to spend a relaxing weekend wherein the day starts with a refreshing sunrise and a majestic view of the Nanda Hill. The entire landscape of this place portrays a vivid picture of nature with 42000 trees planted in the whole plot along with 6 acres of an area which is designated for forest experience. Residents while staying here can as well engage in organic farming and relax their minds from the everyday monotonous schedule allowing you to take the best advantage of property in Bangalore. For the ease of the residents, Godrej Reserve Bangalore has designed the best-in-class luxurious twin clubhouses along with banquet green for hosting events and parties. An enormous swimming pool is also placed for recreation in the green woods, and ample car parking space is as well allotted for the ease of the residents. Along with the lavish exterior, Godrej Reserve also emphasizes on the safety and security of the residents, and as such it offers 24 hours of CCTV surveillance and security guards. It even provides the top-notch infrastructures with escalators and piped gas system for the houses. Besides ample of open space offer enough breathing space for relaxing the mind and body. Thus with such amenities and infrastructural décor these residential plots are by far one of the innovative projects by the Godrej property. 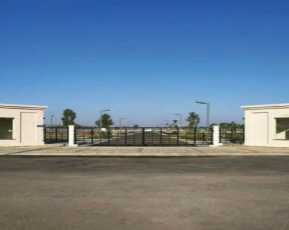 They offer plots in various configurations according to one’s requirements. 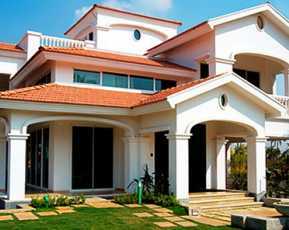 The Godrej Reserve Devanahalli price, however, depends upon the size of the plots which a buyer is interested in. The starting sq. ft. of the plots is 2400, and the price of this starts from Rs. 64 lakhs. Other plot sizes include 3200 sq. ft. options. 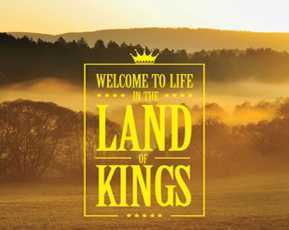 It is a good attraction for the property seeker in Devanahalli. Home buyers can pay a minimal booking amount based on the plot configuration to get their dream home. Thus, Godrej Reserve is offering a golden chance for those who have always dreamt of having a luxurious villa with a scenic picturesque around in Bangalore.